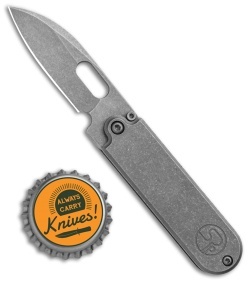 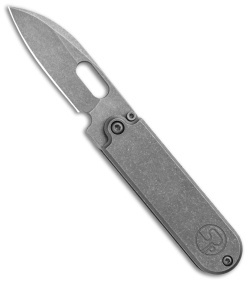 This Production Bean Flipper is built with an all-titanium handle and a tumbled M390 blade. The Serge Knife Co. Bean Flipper is one of the first among the ranks of Panchenko designs to enter the production knife arena. 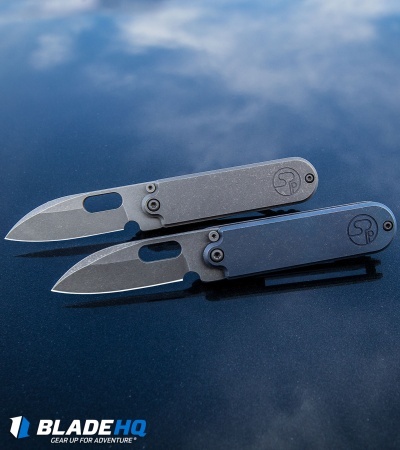 These knives are equipped with premium Bohler M390 blade steel paired with a lightweight titanium frame and titanium hardware for convenient EDC. The blade runs on a ball bearing system to ensure a smooth, reliable flipping action. Serge Knife Co. is out to ensure a quality Panchenko design is within the reach of every knife nut. M390 blade steel offers exceptional cutting performance and edge retention. Urban-friendly slip joint mechanism and flipper tab for one-handed operation. 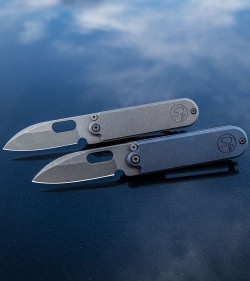 Compact minimalist design allows easy everyday carry in any pocket, kit, or pack.